You MAY model, manage or mitigate aspects of risk…but you MUST prepare for uncertainty! Further pressure mounted on Barclays when it faced fresh allegations on Friday about its relationship with Qatar at the height of the 2008 financial crisis. The Qataris were the main contributors to a £7.3bn lifeline to Barclays that allowed it to avoid a taxpayer bailout. The Financial Times reported that the Serious Fraud Office and the Financial Services Authority are investigating whether Barclays lent Qatar funds to buy shares in the bank. Barclays boss waives bonus as bank rocked by new Qatar allegations | Business | The Guardian. 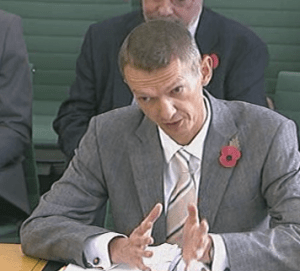 Andy Haldane:: Have we solved ‘too big to fail’? As with systemic surcharges, the issue here is not to so much the bail-in principle, but its application in practice. Bail-in, whether of big banks, sovereigns or companies, faces an acute time-consistency problem. Policymakers face a trade-off between placing losses on a narrow set of tax-payers today (bail-in) or spreading that risk across a wider set of tax-payers today and tomorrow (bail-out). Have we solved ‘too big to fail’? | vox. I recently came across a very interesting article that brought to my attention a phrase I hadn’t come across before: constructive ambiguity. The article is here and it touches upon a topic and writers I have written about before in relation to business as war. If you like you economics with a social conscience and a philosophical perspective Ashwin’s your man. However, in this article ‘constructive ambiguity’ was being used in terms of preventing moral hazard within a regulatory regime. That’s when it struck me! Why not constructive transparency? “The first line of defence has to be risk management within the firm. We have seen a significant scaling up in both the resourcing and the influence of the risk management function in banks over the last 4 or 5 years… There are very few, if any, global banks who can conduct effective, consolidated, across-the-whole-balance-sheet risk management. Many of their systems simply make that if not impossible then certainly unsure. There is still work to be done to put IT systems and risk management systems on a wholly different footing that have been in the past. The systems are not in a state of health that allow this holistic across the balance sheet aggregation of risk. Of all the shocking things that I have come across in the last 4 or 5 years, among the most shocking, was the inability of the biggest banks in the world to simply add up the numbers. The IT spend that has occurred has tended to be focused on business lines. It hasn’t allowed a joining up of data, core data, across the whole balance sheet. It is a pre-requisite to the essential building block of effective risk management. It does not exist at present in too many big firms”. AH is very assured, knowledgeable and speaks with great clarity on some very complex issues. This is well worth watching. Just in case my own comment doesn’t make it through the approval process, here it is! Andy Haldane’s "Systems Thinking" approach to resolving so many of the issues at, or as close as one can realistically get to, source is a welcome breath of fresh air. The only thing that HAS been lacking is the means to measure (and therefore) manage both complexity and resilience of individual firms i2o [inside to out]. Creating more regulation and adding more cost to TREAT SYMPTOMS makes no sense. Reducing "flexibility" through partitioning or "ring-fencing", when AGILITY is a prerequisite for every business in the Digital Age, could only make sense to career regulators, lawyers and politicians intent upon ignoring the “law of Requisite Variety”. The era of the Medieval Knight is long past and a "suit of armour" may mask but won’t change culture!!! In the words of Dave Snowden "Practice without sound theory will not scale". Acceptance of the inability to build mathematical models…to mislead all-and-sundry…and of (Knightian) Uncertainty should be the start of a cultural change that, with the ability to measure the inherent (but currently ‘hidden’) complexity risk, enables transparency – whilst protecting sensitive commercial information – and the process of (re)building both system and systemic resilience. Ninja warriors live by a strict code and act with great agility. 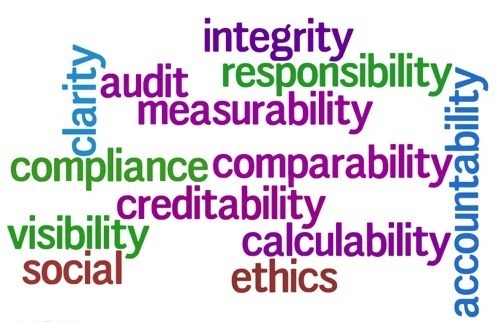 We the undersigned call for an independent, judicial public enquiry into fraud, wrongdoing and ethics of British banks, their management and their staff, and the role of the British Bankers Association. The terms of reference of this inquiry should also include the manipulation of interest rates on about £225 trillion of assets. The inquiry must have full powers to compel witnesses to appear on oath, and to obtain all forms of evidence. Catch up on what you have missed! Risk = Probability X Consequences. Really? Can Complexity Thinking Fix Capitalism?